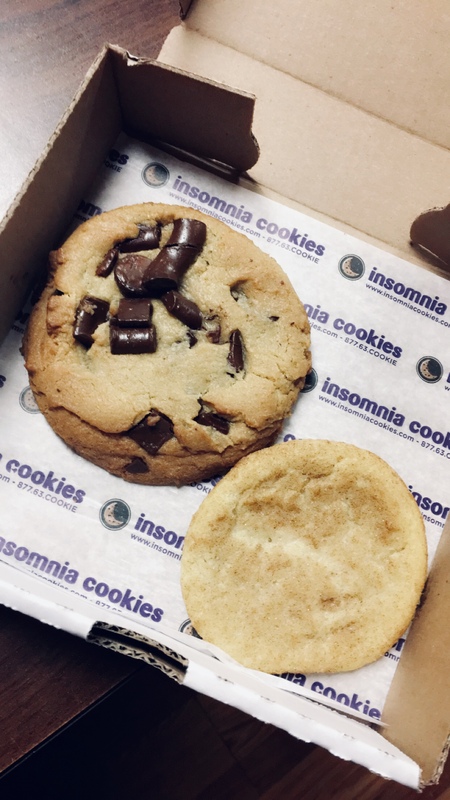 Once again, Tasty Tuesday brings you another treat from none other than Insomnia Cookies! This place is a staple for NC State students because of its convenient location and hours of operation. They have a variety of options, whether you just want a cookie or you want a box for a special event. 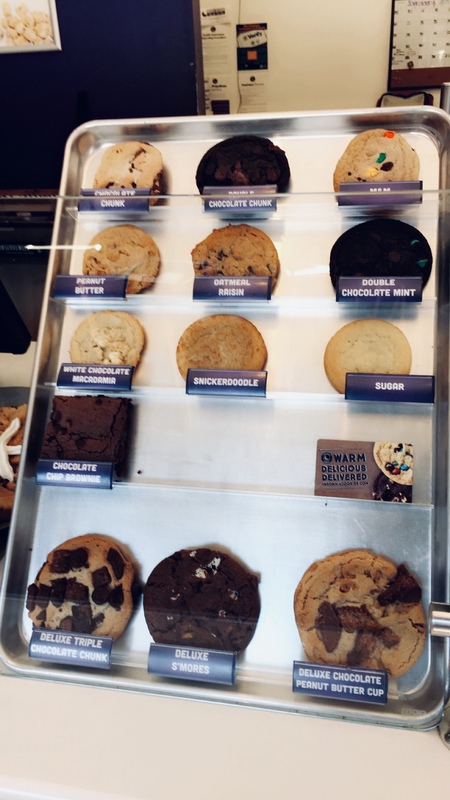 You can choose from the regular variety of cookie, like chocolate chip, m&ms, double chocolate chunk, snickerdoodle or sugar. You can also go big or go home with something like triple chocolate, chocolate peanut butter chunk or s’more. Whatever your preference, they’ve got you covered! Today, I went with a snickerdoodle and a triple chocolate cookie. Both were incredibly tasty and I would pick them again. They were crunchy around the edges but soft in the middle, exactly how I like them. These cookies would make a great addition to any occasion, including this weekend’s Super Bowl game! They’re running an amazing online deal until Feb. 4th that gives you 20% off your purchase of $20 or more with code: TOUCHDOWN20 … Did I mention they deliver? 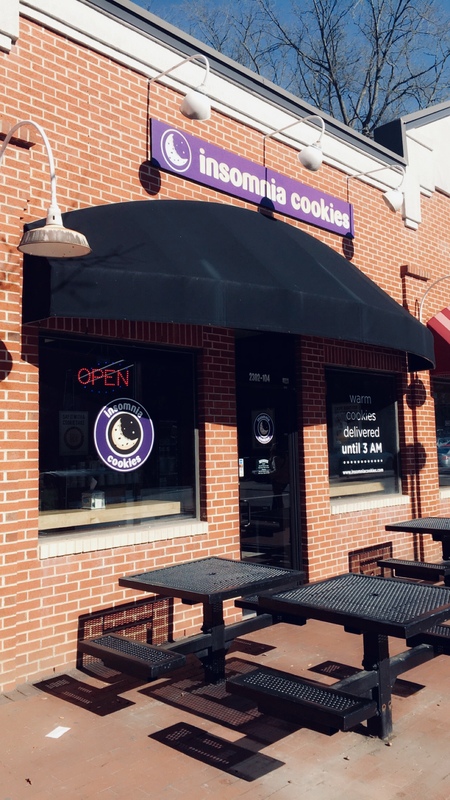 Give them a try -- They’re located at 2302 Hillsborough St. in Raleigh and are open Mon-Fri from 9am-3am and Sat & Sun from 11am-3am.